- Same Avid performance, but now they get along with others! - The Rim Wrangler 2 pads use the universal footprint - which means they will fit in other (you know who) pad holders. - This makes the choice clear when replacing pads. 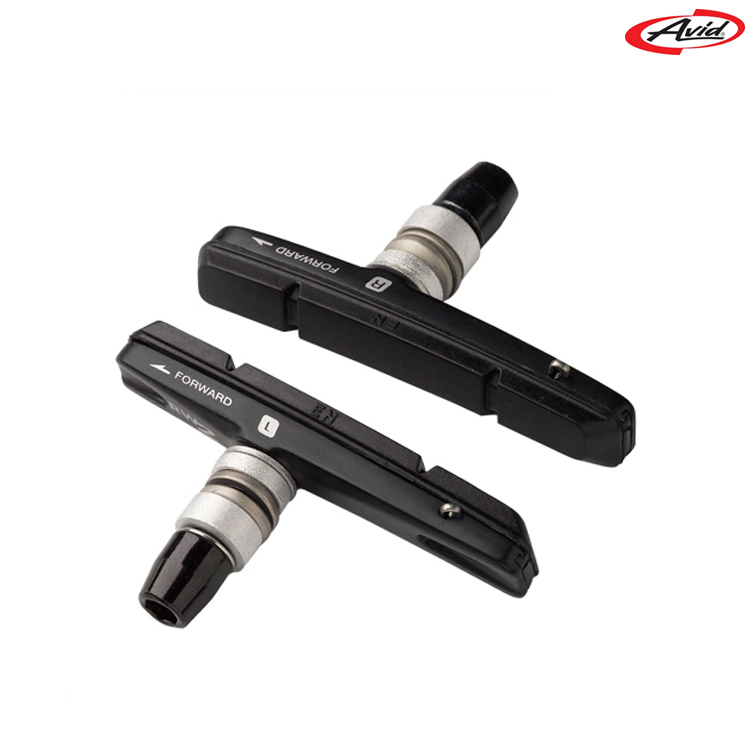 - The Avid name and performance are available as a full cartridge, or replacement pads only. - Only 36 grams per pair - lighter than the original. - Maximizes the opening between pads to allow easier wheel removal. - Universal Compatible Inserts Now fits most popular brake pads. The good - the cartridges are beautifully engineered, and the nuts, bolts and washers, are all to the same high standard - two of my LBS have rated them above Shimano carts. However, the pads are awful...very poorly finished, and the compound is very squashy and rubbery, making them very difficult to get in our out. Braking performance is not very good, and the pads pick up grit and metal from the rim. Swap out pads with Swissstop, and they are wonderful! In the description it says "The Rim Wrangler 2 pads use the universal footprint" . I was wondering how to tell which other pads are compatible? They now use the same design as Shimano and nearly every other company copied Shimano's design so most blocks should be compatible with these.